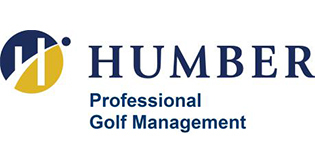 North York, ON – (February 7, 2019) – The Canadian Junior Golf Association (CJGA) is pleased to announce the continuation and expansion of their partnership with Humber College Professional Golf Management Program. The expansion of the relationship will see the inclusion of a major bursary program that will benefit CJGA members. This new program will encourage CJGA graduates to stay in Canada for their post-secondary endeavours by offering up to $56,000 in bursaries to CJGA members towards the Humber College Business Administration – Professional Golf Management Program. A total of 56 CJGA Junior Tour members will qualify for a $1,000 Humber College PGM Program Bursary through a random draw. Players who are CJGA members and enroll in the Humber College PGM Program within two years will be eligible to receive the bursary. Golf Course: Northview Golf & Country Club, Surrey, B.C. Humber’s Business Administration – Professional Golf Management program is recognized as Canada’s premiere golf business program. We provide you with the business knowledge and skills you need to start a career in many areas of business and the specialized expertise required of a PGA of Canada Golf Professional. Our 3-year business diploma runs annually on a 6-month in-class/6-month paid work placement basis. Our on-campus Golf Lab is an industry leading golf performance training facility run by PGA Professionals. Our students have the opportunity to play on the Humber Hawks varsity golf team, the most decorated golf team in Canada. Pathways to Humber’s Bachelor of Commerce Degrees and other degree programs are also available. For more information please visit our website at business.humber.ca/golf.